The city’s woes are making people realise how much it has changed over the years, and not necessarily for the better. Perhaps a dose of humour would help? Back in the 1990s, St. Mark’s Road in Bengaluru was not the traffic-choked one-way it is today. It was an empty road with barely any vehicles on it, and Mathew remembers skateboarding with his friends on the road as friendly neighbours stopped their vehicles so the kids could skate across safely. People were friendly, knew each other and took it easy with each other. If you had to cross St. Marks road on the pedestrian crossing today, either you would have to jump across vehicles standing bumper-to-bumper in heavy traffic, or be the brave heart who plunges into the road holding your hand up, hoping vehicles would stop for you to cross. “I see at least one road rage incident here every week,” Mathew says, today a successful media professional in Bengaluru. About three decades later, he lives in the same neighbourhood, but the neighbourhood isn’t the same anymore. Along with more people and bigger buildings, there is more noise and traffic. “We weren’t so rude or angry those days, you know?” Mathew says, “We were very chilled out, no problem required anger to be solved. We had a sense of humour about life.” In fact, behavioural health professionals in the city say they have also noticed a spike in cases of angry outbursts among teenagers in the city recently. “I still love the city to bits, it is perhaps the best in the country. We can’t do away with the city, we need to swalpa adjust. And perhaps we need to lighten up a bit, joke around more?” Mathew says. Perhaps we do. Once upon a time, Bengaluru’s sense of humour was in its way of life. The power of comedy cannot be understated. Comedy can be educative, and perform important social functions. For comedians, it is not just about getting laughs, it is about contesting our way of thinking, and trying to change the way we act. It can make us laugh about ourselves without being offended. Comedy is also about community. A bunch of people coming together to share jokes at a community centre can instantly take a person from wanting to rage out to just being chilled out. What made Bengaluru the pleasant, adjusting and laid-back city that it once was, wasn’t just fewer people and buildings, but also a better sense of humour. For those who haven’t seen this side of Bengaluru in a while (or ever), and if you want to bust some stress, head to the nearest stand-up act, the city is teeming with them. “Humour does genuinely help,” says Rajiv, a stand-up comic who has started performing in Bengaluru. “The audience here is a lot more chilled out and accepting, and looking at what the traffic does to them, I guess we owe it to them to give them a good time,” he adds with a smirk. You have biggies like Kenny Sebastian, Biswa and Vir Das performing in the city in the coming days. If you want to try out some of the new kids on the block, try the several others performing at pubs and venues across the city. A good improv act can blow you away, and there are some shows just for that. 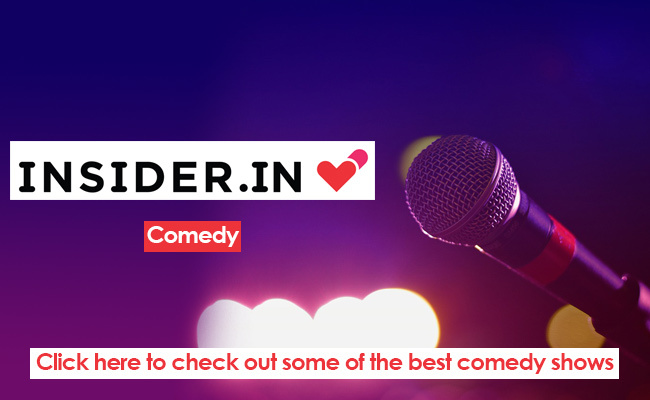 Bengaluru and its people need more humour, so book that show and laugh out loud this weekend.